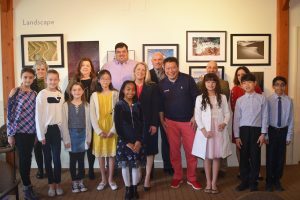 HARTFORD – State Representative Brenda Kupchick (R-132) hosted a ceremony at the was at the Fairfield Museum and History Center on Saturday to honor the Fairfield sixth graders who won the essay contest she has sponsored for the community for the past eight years. Rep. Kupchick was joined by State Senator Tony Hwang (R-28) as she presented the awards. Rep. Kupchick said, “I appreciate Principals, Gary Rosato, Anthony Formato, and Steven Santoli and Meg Tiley, and Board of Education Chairwoman Christine Vitale for participating in the ceremony. State Representative Brenda Kupchick represents the 132nd district, which includes Fairfield and Southport. She is a House Republican Whip and a member of the Transportation, Finance, Revenue, and Bonding Committee and the Housing Committee.